Michael Lund served in the U. S. Army as a correspondent in Vietnam, 1970-71. He is the author of a memoir, Route 66 to Vietnam: A Draftee’s Story, and a book of short stories, How Not to Tell a War Story. 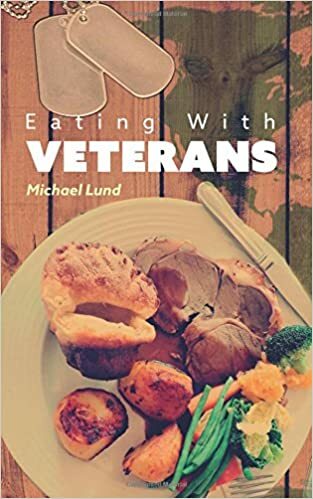 Lund’s latest book is Eating With Veterans (BeachHouse Books, 268 pp., $16.95, paper; $3.99, Kindle), a book of twenty serious short stories. Lundh, a life member of Vietnam Veterans of America, holds a PhD in literature from Emory University, so I expected his stories to be literate and well-written. I was not disappointed. Most of the characters in these fine stories are aging veterans, mostly of the Vietnam War. Often these veterans and their companions are eating, drinking, and talking. Occasionally a story will seem like a deliberate homage to Raymond Carver, for instance “The Soy Bean Field.” I intend this as the highest of compliments. Some of the stories that have non-military sounding titles are the ones that contain the most overt military scenes, for instance Lund’s Tet Offensive story, “Magician.” We get a reference in that story to the school at Fort Benjamin Harrison, where the correspondent was trained—and where I was trained as a stenographer. I am always pleased when I read a book that deals with what the 80 to 90 percent of us did in Vietnam: not take part in combat. This is one of the best books yet that deals seriously with that aspect of our war. Lund uses the phrase “rear echelon troops,” and the derogatory term “REMF” does not appear. It’s a term, by the way, that I never heard in Vietnam, but trip over endlessly in Vietnam War combat books, both novels and memoirs. In “Camp Hoover” Lund captures an elusive feeling that I have tried to put into words, but failed to do so: how the past and the present can get intertwined and confused. It’s a great story and the saddest one in the book—perhaps one of the saddest stories I’ve ever read. I highly recommend the stories in this book to all those drawn to serious writing about the Vietnam War and to seekers after the whole story—not just a narrow story told over and over again. Lisa A. Lark, the author of There and Back: The Vietnam War Through the Eyes of Those Who Lived It (M.T. Publishing Company, Inc., 136 pp., $39.95), also has written All They Left Behind: Legacies of the Men and Women on The Wall, which was published in 2012 in commemoration of the 30th anniversary of the dedication of the Vietnam Veterans Memorial. Lark is an English teacher at Edsel Ford High School in Dearborn, Michigan, and teaches writing at Henry Ford Community College. Her new commemorative book is dedicated to the 58,300 men and women who gave their lives in the Vietnam War. The contributors to There and Back include more than a hundred Vietnam veterans, along with members of the families of a dozen who did not make it home—families that donated their memories and photographs to this timeline of the war. Beautifully designed and prepared, this coffee-table-sized book contains more than 300 photos, many in color. Through these photos and accounts the reader is guided through the day-to-day lives of veterans involved in nearly every aspect of the war from 1959-75. “Getting There” takes the reader back to the first inkling that the draft board may be calling, or the decision to volunteer, and then what the journey was like once inducted into military service. “Getting Through” covers being part of America’s involvement in the war. “Getting Back” shares the memories of veterans as they marked the days off on their short-timer calendars awaiting the Freedom Bird flight back to The World. No matter where, when, or how one served during the Vietnam War, this book will surely evoke the reader’s own memories. For those who did not serve in that war, this compilation of veteran memories and quality photographs will paint a vivid picture of what that experience was like. This book gets a lot done and covers a lot of territory in just under 120 pages. Army Private Theo Garrett is assigned to the 2nd Infantry Division, 2nd Engineers in water purification during the Tet Offensive. The novel begins and ends in Cold River, Vermont In between, we learn an awful lot about the role of the watermen, those water purification people, in Vietnam. We get a lot of information about the erdulator, a mechanical device that purified hundreds of gallons of water at water points. We encounter much stupid, ill-informed leadership on the officer level, often checked and balanced by responsible work by the sergeants, the men who really ran the war. I got so much detailed information on how to purify water that I felt I could pass a test on the subject. Certainly, I gained a lot of respect for the work of the waterman in the Vietnam War. The role of water purifiers is referred to as mid-level combat, which I think is justified as these men often were at serious risk and did get shot at. And some of them died. Readers looking to learn about aspects of the war that are seldom respected or even commented upon should read this book. I enjoyed it, and I read it in one sitting. 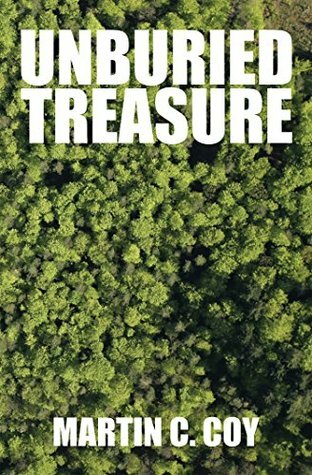 On page two of Martin C. Coy’s novel, Unburied Treasure (Xlibris, 156 pp., $29.99, hardcover; $19.99, paper; $3.99, Kindle), we meet an old man, Max. He lives in a retirement community and is taking a model-building class where he’s working on a model of a UH-1 helicopter. So we have two aging Vietnam veterans in a retirement home. Where is this story going? The book sort of goes around in a circle, encountering many and various characters of all sorts. All of them are connected by an amulet on a leather string, which is found by children who dig it up in the back of a cave. At the end of this book, the amulet has been returned to the cave where it is about to be dug up by four young exploring friends. “And the adventure goes on,” the author tells us. This is a gentle, quietly metaphysical book that can be read in one sitting and that will resonate with many readers. The Vietnam War veterans I admire most served as corpsmen and helicopter crewmen. I rate their duties as the riskiest. 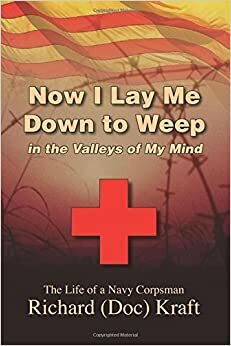 Therefore, Richard (Doc) Kraft’s Now I Lay Me Down to Weep in the Valleys of My Mind: The Life of a Navy Corpsman (CreateSpace, 220 pp., $14.95, paper) pleased me. Kraft’s combat life began as a child abused by a merciless stepfather. Robbed of a boyhood, Kraft ran away from home at fifteen and worked his way through high school. In 1957, at the age of eighteen, he enlisted in the Navy and went on to serve twenty-two years on active duty. Introspection and compassion are Kraft’s strongest attributes—and also his most powerful enemies. He clearly expresses the fear he felt about combat and his nagging concern over providing proper care for the wounded and dying. The book is a collection of Doc Kraft’s prose and poetry. The poems parallel and re-emphasize the messages in the prose stories. At times, the prose takes on its own cadence and grows more emotion-laden than the accompanying poems. Wounded twice in Vietnam, Kraft developed a front-line knowledge of death with the 2nd Battalion of the 9th Marines in Leatherneck Square. In wrapping up his Vietnam War experience, Kraft presents one-page explanations of field gear, monsoons, sanitation, alcohol, combat patrols, helicopters, doctors, chaplains, and others. Although much of this can be found in many Vietnam War novels, memoirs, and history books, Kraft includes several short biographies that qualify as priceless reading. Kraft—a member of Vietnam Veterans of America—retired from the Navy in 1979. He then endured bouts with leukemia (from Agent Orange exposure) and PTSD. The latter initially overwhelmed him in 1998, and he has never rid himself of the fear of not having done enough to keep others from dying or suffering pain. Kraft describes the effects of PTSD to a depth that is as enlightening as anything else I have read on the topic. People who favor war over diplomacy should be required to read the PTSD portion of this book. 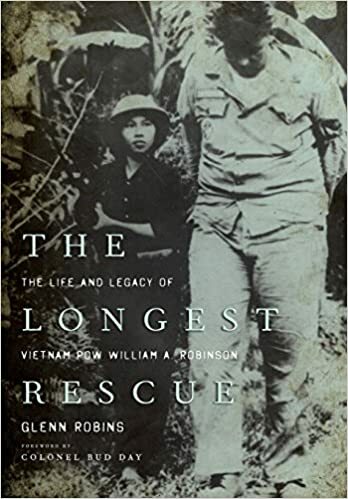 The Longest Rescue: The Life and Legacy of Vietnam POW William A. Robinson, which came out in 2013, is now available in paperback (University Press of Kentucky, 296 pp., $19.95). In it, the historian Glenn Robins tells the story of Bill Robinson, the former crew chief on a USAF Vietnam War rescue helicopter, who wound up being the longest-held enlisted POW in U.S. military history. Robins “brings a scholarly treatment to his subject’s time as a Vietnam War POW, as well as the rest of his life,” our reviewer John Mort wrote on these pages. Robinson’s capture resulted in the iconic photo of him (on the cover). The photo of Robinson—who gave the Keynote Speech at Vietnam Veterans of America’s 2015 National Convention in July—and “the guerrilla girl” had great propaganda value for the North Vietnamese. The photo, however, was entirely staged and the girl knew no more about what was going on than Robinson did. 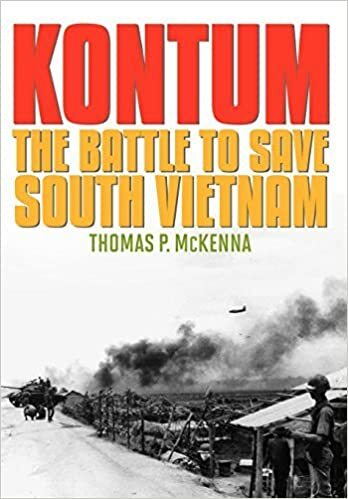 Retired Army Lt. Col. Thomas P. McKenna’s Kontum: The Battle to Save South Vietnam, which was published in 2011, is now out in paperback (University of Kentucky, 378 pp., $28). As we noted in our review four years ago, the book is a heavily researched, very detailed look at the 1972 North Vietnamese Army invasion of South Vietnam, better known as the Easter Offensive, which was designed to topple the South Vietnamese government and end the war. The massive, three-pronged attack, aided by Soviet and Chinese weaponry, including tanks, came as the United States was rapidly withdrawing its combat troops under President Nixon’s Vietnamization plan. But tens of thousands of American troops, including South Vietnamese Army advisers such as McKenna, remained in Vietnam, and Nixon unhesitatingly unleashed American air power, including sustained B-52 bombing operations. That onslaught overcame a less-than-stellar performance by many ARVN units, although the 23rd ARVN Infantry Division stood up well under 15-division NVA invasion. 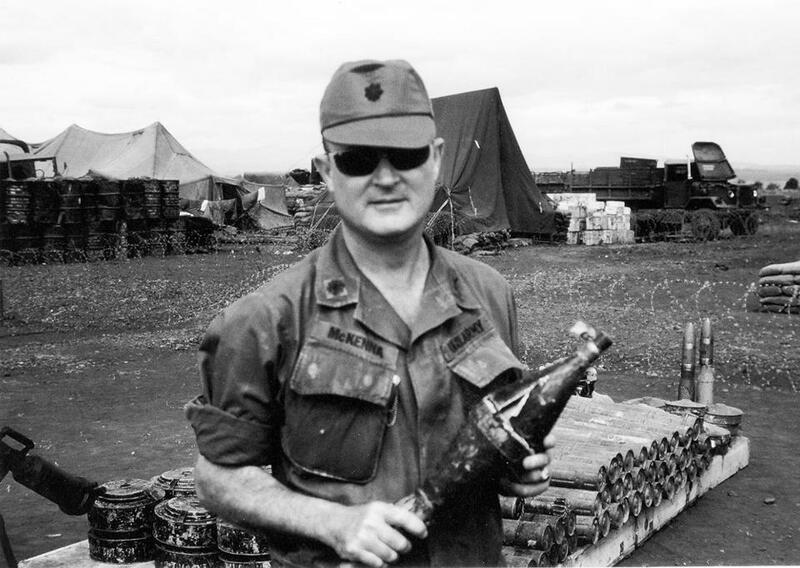 The ultimately successful defense of Kontum (and South Vietnam) was led by the legendary John Paul Vann, serving in a civilian capacity for the U.S. Foreign Service. 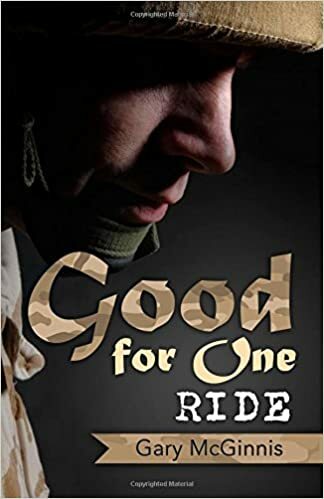 McKenna, who was severely wounded near the end of the offensive, served under Vann (the subject of Neil Sheehan’s classic A Bright, Shining Lie), and offers an insightful picture of the colorful, contradictory ex-military man in action. McKenna also adds his own story into the mix, doing an effective job melding it into the bigger picture. The book received the William E. Colby Award in 2013.